Coffee and water are the two ingredients (before you might add sugar or cream) that make brewed coffee or espresso. While we often focus on equipment or the beans themselves, it is important to recognize water as a crucial ingredient. You may not realize it but almost every beverage industry fusses over the water that goes into their product. Beer, soda, tea, even the diluted portion of spirits all have industry or company specifications of what the chemistry of their water should be. In fact, water comprises about 98% of your daily coffee. 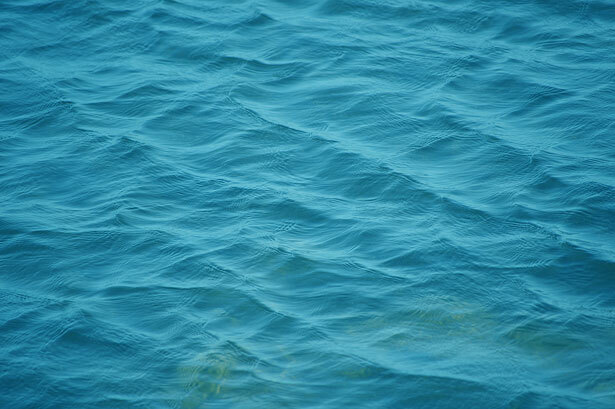 Water has a tendency to hold dissolved minerals that it comes into contact with over time. 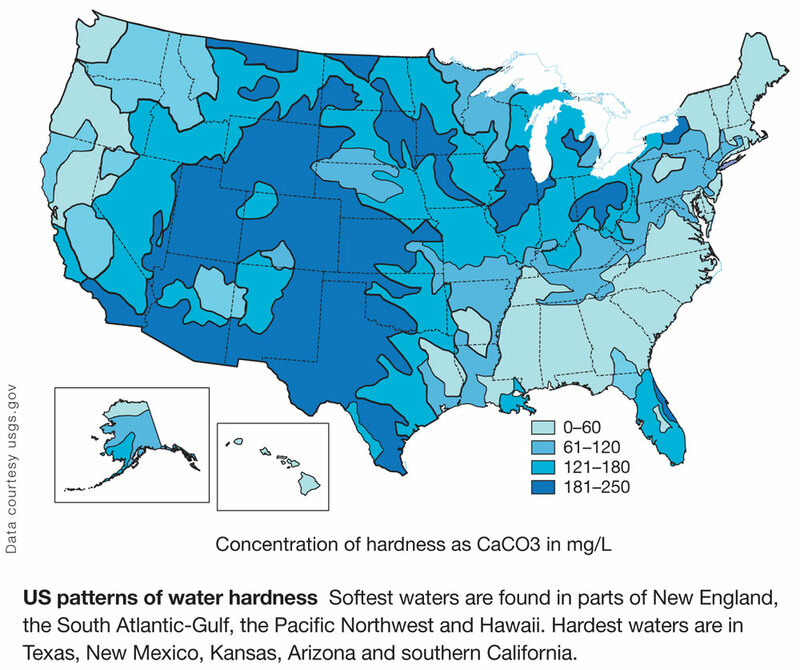 For example, here in my hometown of Kansas City we have rather hard water because the groundwater comes in contact with limestone, among other things. Every part of the country (and the world) has a different tendency for the dissolved mineral content in its public water source. Some cities have tap water with tons of minerals, some are quite low, and some are just right for making coffee. Beyond the amount of dissolved minerals the amount of each particular element (such as sodium, potassium, calcium, etc) varies considerably, and all of these can all affect the flavor of your coffee. In the coffee industry we primarily focus on the overall mineral content of the water, with a target of @150ppm (parts per million) of TDS (total dissolved solids) and an acceptable range of 75-250ppm. There are standards for individual minerals as well, though manipulating these becomes much more involved and costly. If you are interested in a full breakdown, check out the SCAA standards for coffee brewing. Think of your water like a sponge that can absorb a limited capacity of “stuff” into it. 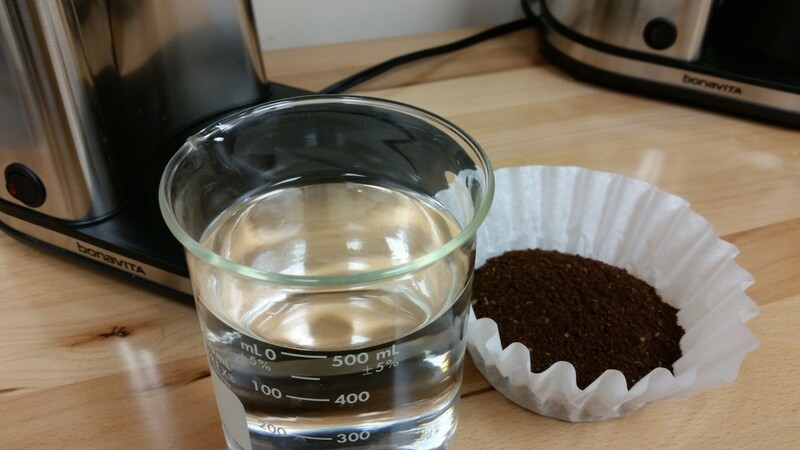 The more stuff (dissolved minerals) your sponge (the water) is holding when you begin trying to absorb something else (coffee) into it, the less room it has to fill up and the more difficult it is to extract the coffee into the liquid. When preparing coffee at home, your tap water may be anywhere from ideal to wildly inappropriate (too high OR too low TDS) for the best brew depending on your local source. The following are a few methods to get great water depending on how in depth you want to go, and of course how much you are willing to invest. 1. The first and most idealistic solution, in-home water filtration, is of course the most costly. Home water filtration solutions can be as simple as a carbon filter (like a Brita filter), or as complicated as a reverse osmosis system. Carbon filters will remove unpleasant odors or tastes, but typically won’t change the mineral content. Reverse osmosis takes everything from the water. In the latter you may need a way to let some tap water through so that you still get enough minerals in the water. There is an enormous amount of chemistry in the details of water and how it interacts in brewing. It is difficult to give all of the details in this one article, but if you want to get in depth with the science you can find some great info in this research done by Maxwell Colonna-Dashwood and his colleagues at the University of Bath in the UK. You might be curious about home water softeners or ion exchangers. This type of system primarily changes the chemistry of minerals, but doesn’t change the overall TDS. We have found that softened water tends to produce an inferior brew compared to even the tap water that it originated from, and for that reason we do not generally recommend ion exchange softening systems. 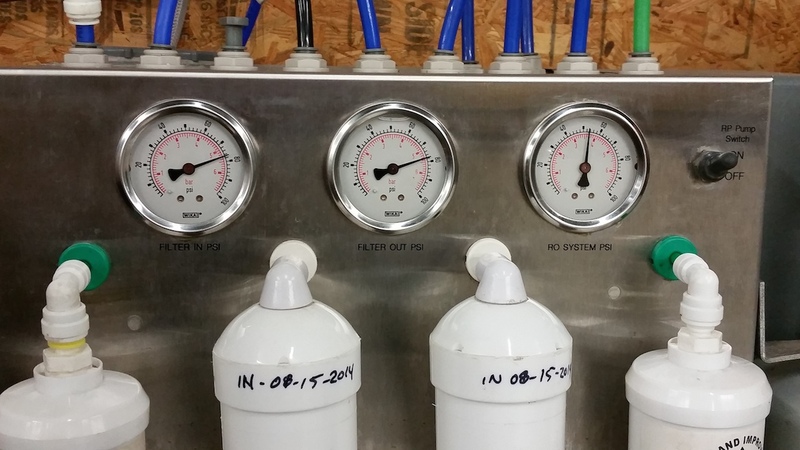 Something to consider beyond the initial expense of any water filtration system is that the filtration cartridges (or reverse osmosis membrane) must be replaced after a certain amount of water is used or time has passed, which adds an ongoing cost. 2. The second method that works well is to buy water. You can get gallons of water at a grocery store for a very low price and use them for your coffee brewer. Many stores have refilling machines that give you reverse osmosis water for cents per gallon. If you know that the water in your area is typically high in mineral content, you can simply mix half reverse osmosis (or distilled) water with half tap water and get a good result. There is sometimes a controversy in buying water, as it can be wasteful to the environment as well as your wallet. The key with buying water is to know that you are getting something that is different from your tap. Some resources may just be lightly filtering the same tap water you have at home, so make sure it is actually filtered through reverse osmosis or a similar method. Reusable jugs are also ideal, since they eliminate the plastic waste of buying new bottles every time. On another note, be sure not to use pure distilled water alone in your brewer as it will tend to make your coffee sharp and/or bitter (and definitely don’t microwave distilled water). Half spring water and half distilled water works for a consistent result if you are in an area with very low TDS from the tap or if the level fluctuates to extremes throughout the year. Unfortunately , pure spring water is usually too high in minerals as well. Another benefit of purchasing filtered water is that it should have no chlorine (usually added in the form of chloramine), which is quite common in public tap water and can make your brew taste less than ideal. Sometimes you can even smell the hints of chlorine in your water. The amount present should be well within government regulation, but even 3 parts per million can be detected easily (the federal maximum is 4PPM). Some of the better water companies try to keep a similar mineral composition in their product since those minerals are what make their water taste the way it does. A simple solution is to experiment with different brands of bottled water when you make coffee, and if one seems to make a better cup of coffee just stick with it. One last thing that is important to know, especially if you have very hard water, is that the minerals will tend to stick in hot water boilers. Because of this you should be sure to “de-scale” those minerals from time to time using a good quality descaling powder. There are biodegradable products utilizing citric acid or other organic acids which get the job done in a standard coffee brewer and are safe for the environment. Of course if you use your home tap water and don’t have any issues with it, then there is certainly no problem to keep using it. In the end, while we believe that water is an important element to consider when making coffee, we mostly hope that you can find a tasty solution that keeps from complicating your morning brew! In your tastings don’t you ask the roaster which water they are using? Thanks! We have discussed this with a few roasters in the past. To give you the short answer, it is because manipulating the water chemistry for every sample we rate would be opening an incredibly large (and difficult) can of worms. Another aspect we had to consider in regard to the water is how everyday coffee drinkers will approach it. While I completely agree that water plays a huge role in the flavor of brewed coffee, we simply need to find attainable, good results at home. Hmm! I thought it s the size of coffee being ground, from coarse to fine etc. How interesting water also part of the secret.